Northfield Public Schools Community Services supports the learning and participation of adults and children in our community. Through citizen involvement, access to school and community resources, and promotion of collaboration and partnerships, Community Services brings the community together. We offer programs that develop skills, inspire creativity and promote living healthfully. Community Services offers a wide range of programming serving infants through adults in our community. Check out the variety of class offerings for Adult Enrichment, Adult Recreation, Youth Enrichment, Youth Recreation, Youth & Adult Aquatics, Early Childhood Family Education, Driver’s Education and Project ABLE. Many classes fill quickly, so we recommend registering for classes that interest you as soon as possible. Registration for summer classes is now open! Call our office at 507.664.3649 or email our staff. You can also stop by our location at the Northfield Community Resource Center (1651 Jefferson Parkway). Our office hours are 8 a.m. to 4:30 p.m. Monday through Friday. Download and print the registration form to register by mail. Call 507.664.3649 to register over the phone. Community Services is pleased to offer a range of programs serving infants through adults in our community. Enrichment classes cover languages, technology, health, art and more. You can also choose to get out and get moving in a Community Services league, fitness class or open gym. Project ABLE offers activities for adults with disabilities and Adult Basic Education offers English and Secondary education. The wide variety of youth enrichment classes include chess, art, theater and much more. Youth of all ages can participate in football, soccer, tennis and many other sports opportunities. Driver’s Education and a Middle School Youth Center are also operated by Community Services. Youth Mental Health First Aid (YMHFA) is for young people experiencing a mental health challenge, mental disorder or mental health crisis. Youth mentoring is operated in partnership with the Northfield Mentoring Coalition to help youth engage with members of the community. Public preschool is offered for children ages 3–5. Early Childhood Family Education (ECFE) is designed to education children ages birth to kindergarten and their parents. Ventures Childcare has options for infants, preschoolers and school-aged children during the academic year and summer. 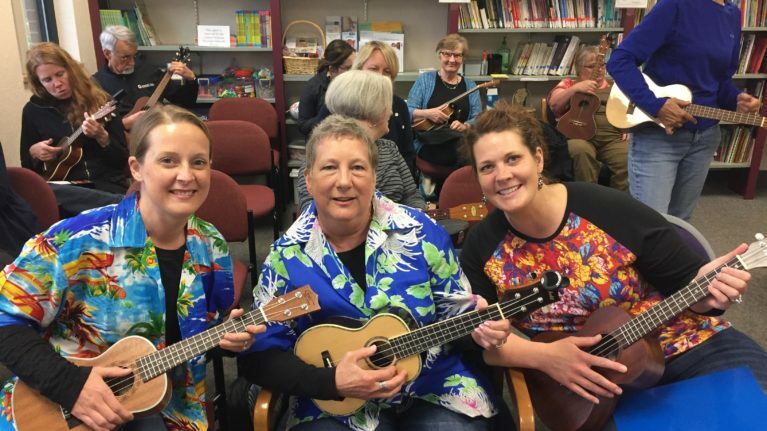 Additional rich senior programming is offered through the Northfield Senior Center, also located at the Northfield Community Resource Cener (NCRC) at 1651 Jefferson Parkway in Northfield. Are you interested in teaching an adult or youth class? Just submit a course proposal form and we will contact you! Send the enrichment proposal form to Jenni Roney and the recreation form to Melissa Bernhard. Looking for an active and fun job? Part-time positions for a variety of sports, aquatics, camps and other activities are available on a seasonal basis. Check for open positions or contact Recreation Coordinator Melissa Bernhard (507.664.3502). 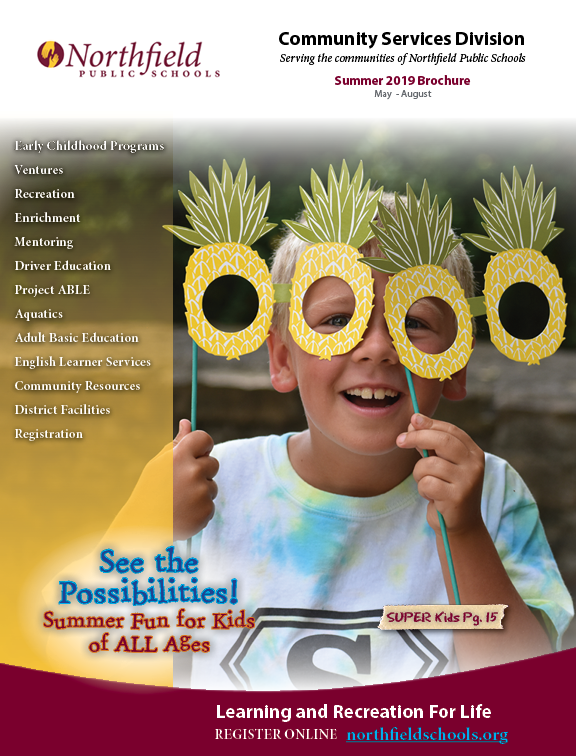 Reach over 13,000 local households with an ad in the Community Services Brochure! Our market includes Northfield, Dundas, Dennison, Webster and 11 surrounding townships in Rice and Dakota counties that are within the school district boundaries. Recreation programs are financially supported by the City of Northfield and Northfield Public Schools Community Services Division through a generous donation from Northfield Hospital & Clinics. Find out how you can support our programs and give back to the community.